Please fill out the registration form below to register your player for the 2019 season. Spring season is April 6th-May 18th and Fall season September 7th-October 19th.Schedules will be posted one week before opening day. Register now while baseball is on your mind. 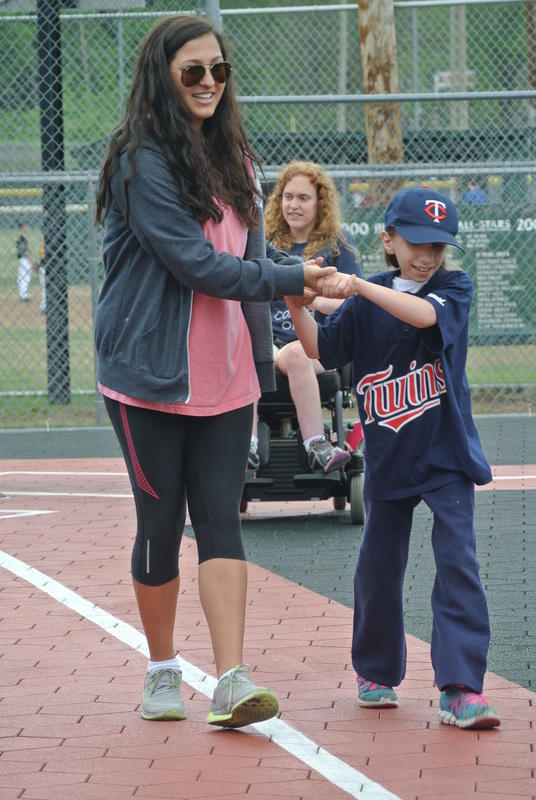 All players start their Miracle League career in the Original League. Players 4 years and older will have a positive experience while enjoying the game of baseball playing along side a Buddy/volunteer. The Buddy will assist and protect the player so the parents, family and friends can enjoy cheering their budding all star. Games are played on Saturday. Fundamental League is for players who have played in the Original League and are at least 10 years old. Players in this league will not have a Buddy/volunteer by their side. The goal in this league is to learn by positive interaction with the coaches to be able to play more independently through repetitive drills the fundamental basics in the game of baseball. Games are played Friday evening or Saturday morning. Competitive League is for players who have played in the Original and Fundamental Leagues and are at least 12 years old. If your player joins this league the skill set learned in the Fundamental League will be put to good use as the budding player steps up to the plate for a game where the basic rules of baseball are followed. Positive attitude and good sportsmanship are taught because there is a winner at the end of the game. Games are played on Friday night. Please only hit the ‘SUBMIT’ button once and check your SPAM mail if you don’t receive your submission confirmation right away. By clicking “Submit” I hereby grant the Miracle League of Arkansas, its affiliates, franchises, advertising and promotional agencies, and their agents the irrevocable, unrestricted right to use, publish, display, and distribute materials bearing my name, voice, likeness, and/or other identifiable representation of myself and my family members, including my Miracle League player/child. These materials may appear in any form, style, color, or medium whatsoever (including without limitation, photographs, video tapes, films, sound recordings, software, drawings, prints, broadcast, internet, and electronic media). I agree that all material containing any identifiable representation of me (including without limitation, all negatives, plates, and masters of any photographs, files, prints, or tapes) shall be and remain the sole and exclusive property of the Miracle League. I hereby waive any right I may have to inspect or approve the finished materials or any part or element thereof that incorporates my name, voice, likeness, or any other identifiable representation of myself and my family members, including my Miracle League player/child. I have agreed to the above in consideration of the opportunity given to me by the Miracle League of Arkansas to appear in these materials. I acknowledge that I have fully released and understand this document and that I have had any questions regarding its effect or the meaning of its terms answered to my satisfaction. I certify that I am at least 18 years of age, unless my parent or legal guardian also signs this document.